Num Noms have to be the collectable that just keeps on giving as far as Little Miss C is concerned. 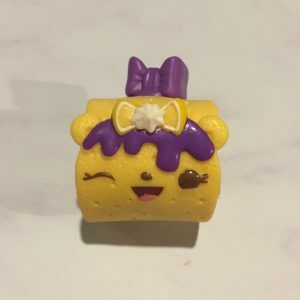 And Num Noms Series 5 is no exception. It’s two years now since we first encountered Num Noms and LMC still likes them now just as much as she did then. For those of you not familiar with the Num Noms concept I should explain. 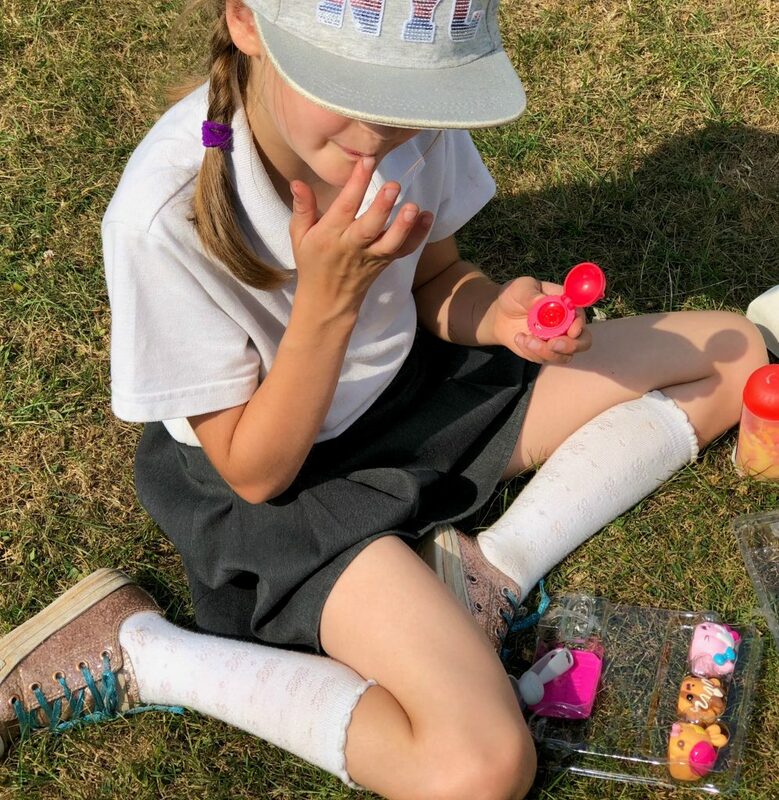 Num Noms consist of two part – a Num and a Nom. The Num is usually made of rubber and fits around the Nom (which is harder in feel) and together they make a Num Nom. 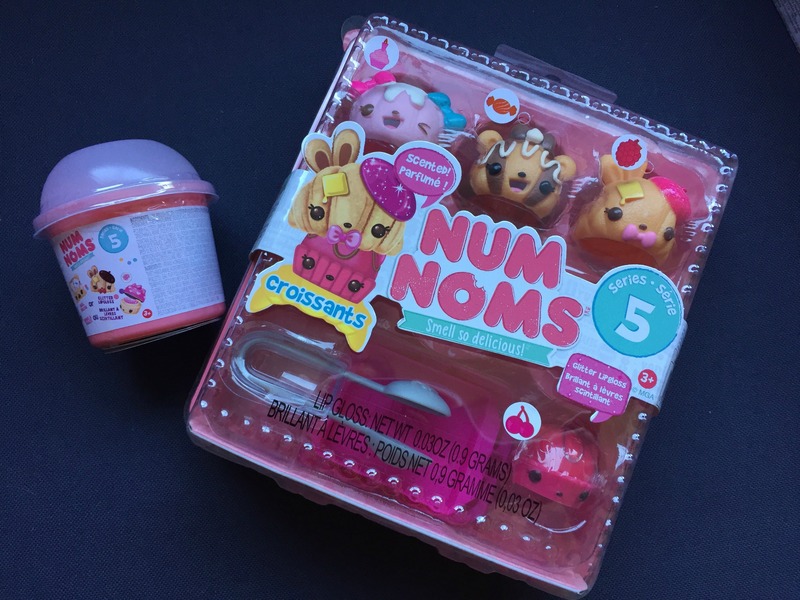 Num Noms Series 5 consists of a series of scented Nums which fall into the categories of croissants, jelly rolls, crepes, bread rolls, marshmallow squares and marble ice cream. 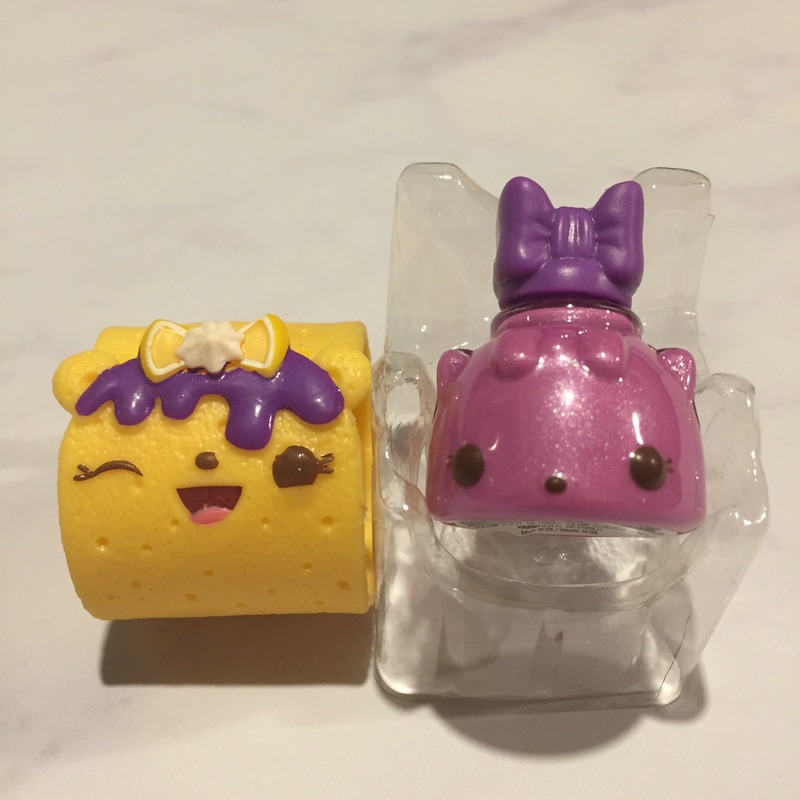 The Noms which go inside are either lip gloss or nail polish. The latter being either normal polish, glitter polish or shimmer polish. We were sent a Series 5 Mystery Pot to review, along with a Croissant Starter Pack. 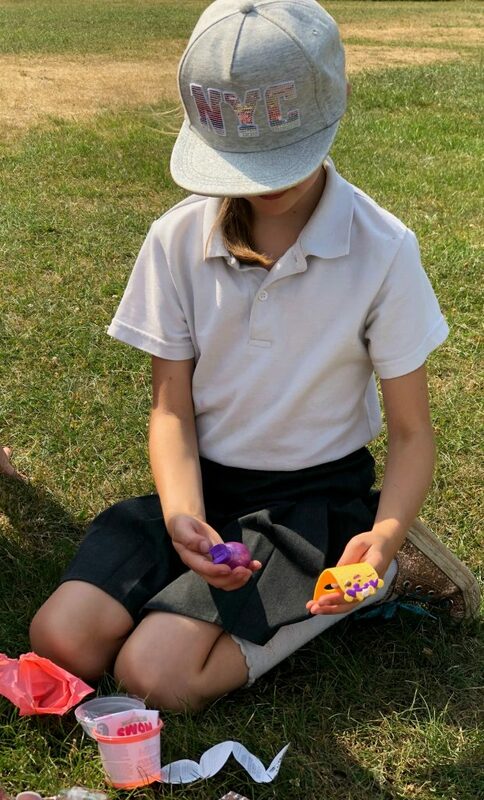 LMC started off opening the mystery pot which contained the B Berry Polish-It shimmer nail polish. Also in there was the special edition Blueberry Becca Crepe. This is slightly different to all the other Nums that LMC and I have seen, as it wraps around the Nom rather than just fitting over it. It took a bit of fiddling to get it right, but once it does it fits securely over the nail polish Nom. 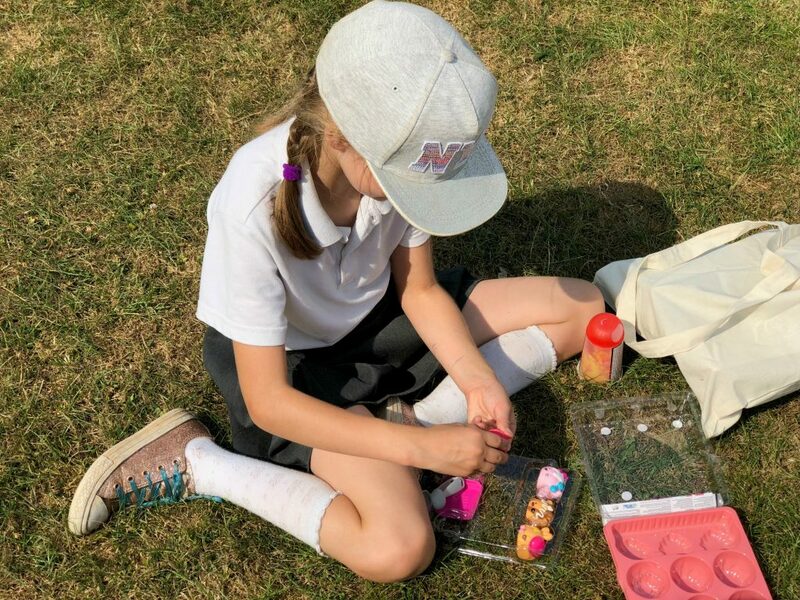 As I said when I reviewed the Num Noms Nail Polish Maker, LMC really likes nail polish at the moment – making this an instant big hit. She then moved on to the Croissant Starter Pack. This contains three Noms of the Croissant Noms: Caramel Croissant, Birthday Bernadette and Berry Bella. Also in there is the Very Cherry glitter Gloss Up Nom and also a Num Noms tray and pair of tongs so that children can play with the Num Noms. 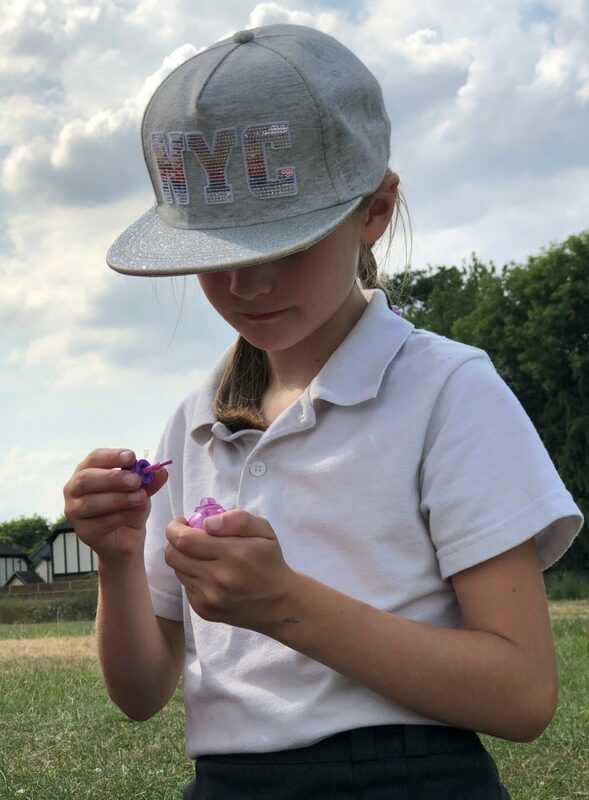 It goes without saying that lip gloss is another favourite of LMC’s and she loved the idea of having a collectable toy that also double as a lisp gloss. 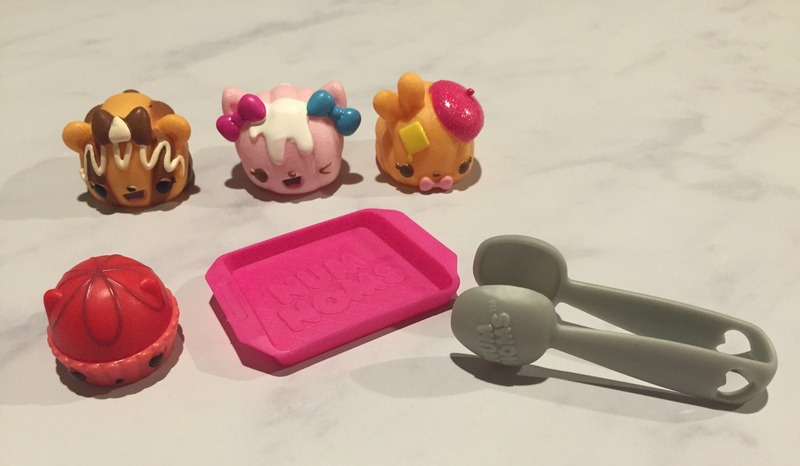 Num Noms Series 5 are also available in a larger lunch box play set which contains a total of 12 Noms or Noms. Disclaimer: We were sent the Num Noms Series 5 that are featured in this post for the purposes of this review. All opinions remain my own. This post contains affiliate links.